The track was opened in 1972, it has 3 layouts plus a drag strip. At the moment I'm only concentrating on the full track. The track has been relatively inactive for several years now but they are in the process of resurfacing it. The drag strip hasn't been used for any drag meetings since 2002 I think due to a wiring problem with the start lights and timing system. The real track has no real garage locations except for areas inside the oval and behind the main viewing area, so I have taken some artistic license in that area. At the moment there is only enough spots for 24 cars, not sure if this will change. I will update the details more closer to release. Based on track condition around 2002-2004. 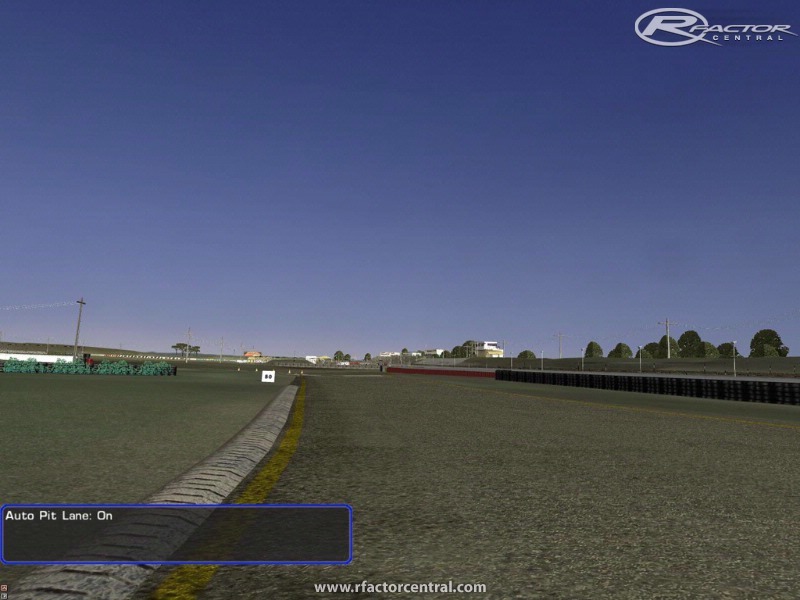 The garage area was added to the centre of the track as the real 1 is located behind main viewing mound and not suitable for rFactor. It was being used for drifting, drag racing, some production and open wheeler races. The last event held there was probably the Gazza Nats in 2006, which is a car show for burnouts, drag racing and show competition. The track is undergoing resurfacing at the moment. So maybe an updated version in the new year. I have included all 3 layouts, but the oval is not the best because I originally wasn't going to do it at all and the AI is a little off. The tracks can handle around 36 cars max. The tracks were scratch built using BTB as the main tool, 3DSimEd to place extra objects. May have some flickering textures, seems to be mod related. There are a few bumpy and dusty road patches also to add to its character. Tried to keep shadows to a minimum to keep a reasonable FPS. There is some lights for night time but may be to hard on fps. I would like to thank the following for the help and support. Ferret40 for some great textures. FlashQld for helping sort out my FPS issues and modelling advice. FOG-Woeful for his indepth bug reporting. The rest of Team Fog for beta testing and support. Brendon Pywell (Piddy) for his wonderful BTB. Ennisfargis for the use of his textures in BTB. Krunch for the use of his skys and settings. 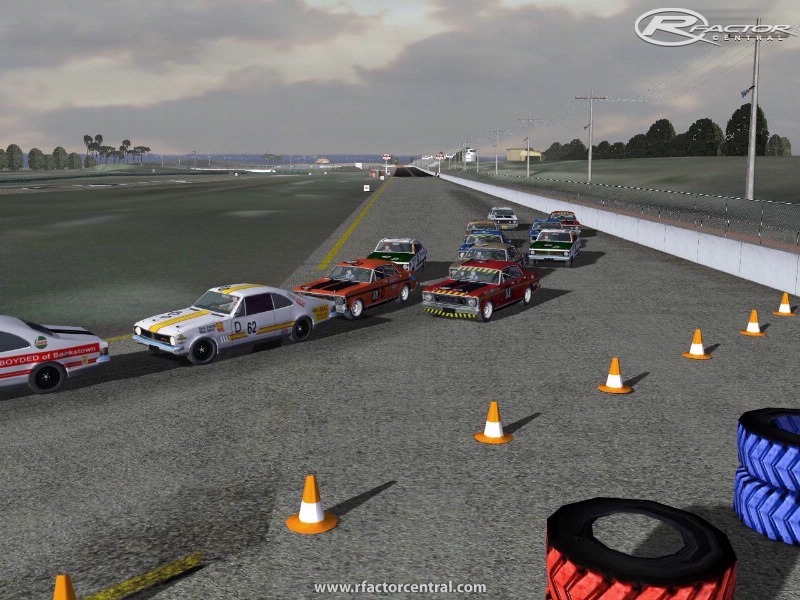 The whole rfactor community for help and support. If I've missed anyone I'm sorry. Not the best track but alot of fun to drive. Any word on being able to run the Bowl anti-clockwise? 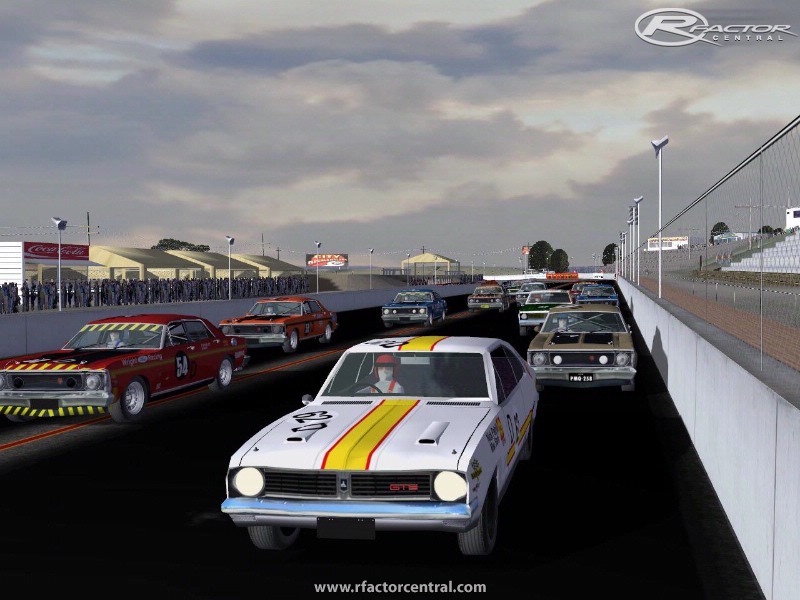 I'll admit to having fun running the TCL VK and VL Commodore's as AUSCARS, but would be nice to do the NASCAR thing too. This probably gets overlooked compared to the street circuit but that would be a shame. 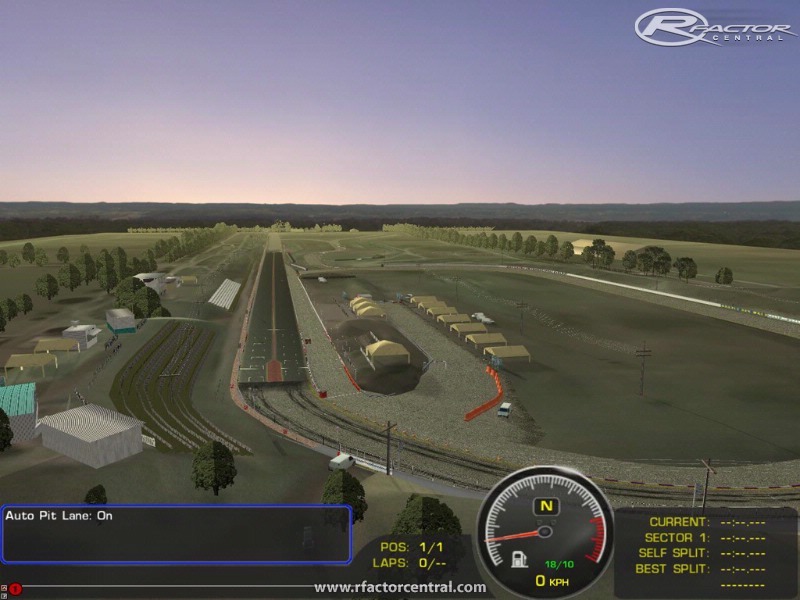 It's a quirky, rustic and challenging track with bumps all over the place and differing track surfaces to contend with. A lot of fun and a very good first effort. http://www.mediafire.com/downl...n2mmtynyz1/AirLong.rar back up your existing ai file in the AIR long folder and the unpack and copy this one in its place and see how it goes. Beautiful Track, Nice work !!! 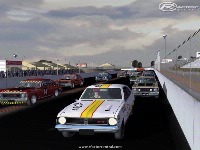 Hi HoldenV8, yes I do remember the Nascar as I spent some time working in J S Racings workshop with John Stepanic and the boys at Holden Hill. I am thinking of redoing the track again using 3DS Max this time but have to wait for some real life stuff to get out of my life first. Would probably be for both RF and RF2, have been out there lately taking lots of pics now its open again. Great work on the track (its pretty much my local track here in Adelaide). Are there any plans on making an anti-clockwise NASCAR version of the Oval section of the track? The Speedway Superbowl ran NASCAR events in Australia during the 1990's and it would be good to get to run the Stock Car mods on the oval in its proper direction. But i have a problem at Offline-Races. The AI is mostly very bad on this Tracks. Few cars are 0,5 seconds slower than me, other cars (same Mods) are 16 seconds slower. So I can´t drive good offline Races on this Track. 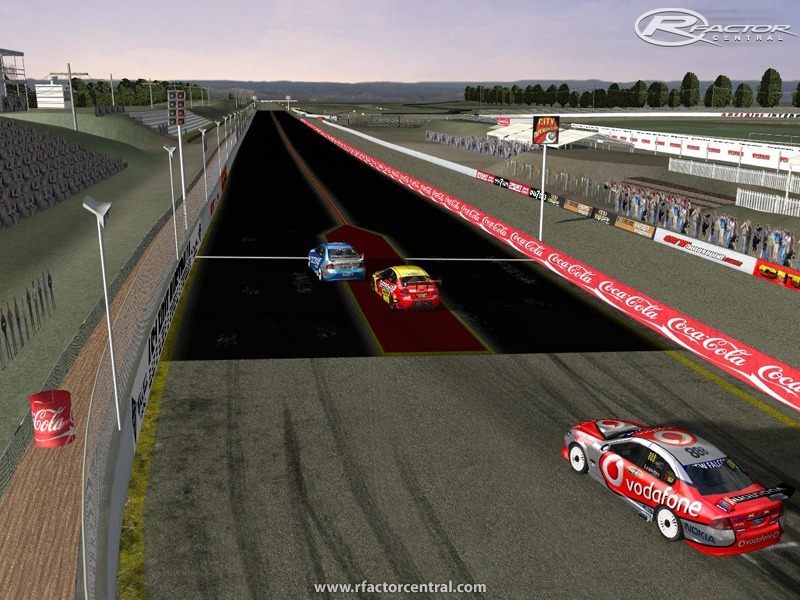 Hardtail96 I believe it is the Bathurst legends Mod available on rFactor. Great Track, love it, but can anyone tell me the car series that is shown in the top screen shots please.